What a great week we have had at Rose Park. Makers Week is always a special week of excitement and energy for our students and staff as we engage in a variety of STEAM (science, technology, engineering, arts, math) activities for a couple of hours each day in a unique way that is intended to carryover into our everyday kinds of learning activities throughout the year. My favorite story from the week is when one mom told me that her student exclaimed to her while describing her morning making a marble roller coaster with her classmates, “We didn’t do any learning almost all morning!” Mom and I shared a big chuckle. I saw this student. She was engaged fully. She was problem-solving, experimenting, collaborating the entire time in ways I haven’t seen her do as often in the classroom setting. In fact, what she didn’t realize was that she had been learning a great deal that morning. Perhaps this is the best kind of learning we have all experienced. We’ve been so engrossed in an activity, competition, problem, or some collaborative group challenge that we didn’t even realize that we were, in fact, learning something very important! Our passion piqued, our curiosity kicked, our interest inspired, we couldn’t help ourselves, plus, we had fun in the process, of all things! These are the kinds of learning experiences we often get to be a part of during Makers Week, and which spill over into other areas of learning throughout the year. I keep reminding you, too, that we are in the heart of enrollment season, and you have a significant role to play! I love introducing new parents to Christian education at Holland Christian Schools. But, I can’t do it alone! Please, tell your stories! Invite and accompany someone anytime into the building for a tour. And, please, guide anyone you desire to my office at Rose Park where I would love to listen to their story and introduce them to Holland Christian Schools, and the special experience of Rose Park Christian School. We have room in every grade level and every classroom to welcome more students and families. Now, may you bless and be blessed this weekend in rest, recreation, and in awe-filled worship. This has been another growth, meaning and joy-filled week at Rose Park, partnering with you and the rest of the staff, equipping young and eager minds, nurturing soft and tender hearts, to transform the world for our Lord and Savior, Jesus Christ. Rose Park Fun Night Next Week Friday, March 8! We are so excited for a fun night next week Friday! The Treat Shop will have popcorn, cotton candy, cinnamon rolls, pop and icees for purchase! You can’t miss the cakewalk, guessing games, giveaways, and who will kiss the goat?! Donations are currently being accepted! Please click here to see what is needed to make this night a success! Families, please take a minute to check on your son or daughter’s lunch balance. If you have not made a deposit in a while…and are not getting email notices, please send an email to Sue, slambers@hollandchristian.org to update your email address. If you don’t know your balance and you want to find out, please email Sue as well. If you are having difficulty with your balance, you may always apply for lunch benefits at lunchapp.com. It’s easy and confidential….. we will let you know within 24 hours. Thank you for allowing us to serve your children, healthy nutritious lunches. Enrollment for 2019-20 continues! Please visit hollandchristian.org/preschool to learn all about our preschool offerings, including class schedules and tuition rates. Questions regarding preschool or Kindergarten offerings? Please contact Courtney Lampen, clampen@hollandchristian.org or stop by our Rose Park office. The 2019-2020 tuition grant application is available at online.factsmgt.com/aid. Please complete application even if your tax documents are not complete on or before April 15. 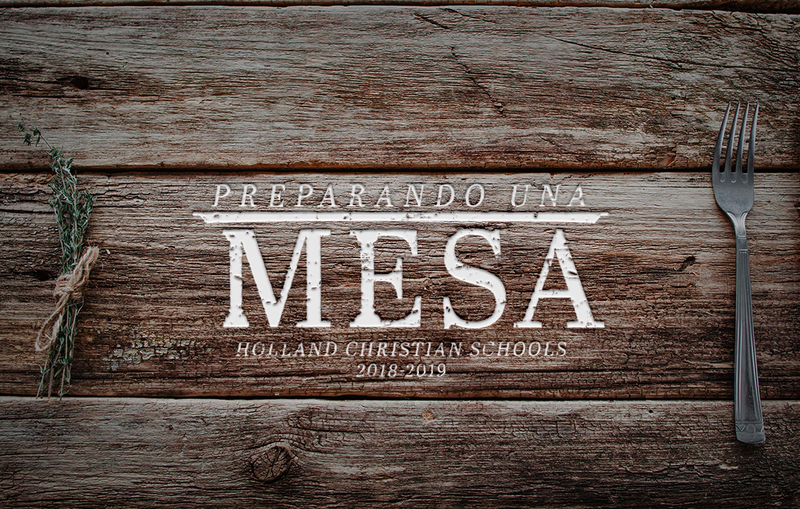 If you have questions regarding the application process, contact Terry VanDerKolk at (616) 820-2807 or tvanderkolk@hollandchristian.org. Spring Conferences are coming up on March 25 and March 27 from 4:00-8:00 PM. Online registration is now open. During the Middle School and High School conferences days, February 28 and March 5, the sign up will be paused. Elem – March 27: 4:00-8:00. ATHLETIC PHYSICALS 2019/2020 School Year —SAVE THE DATE! Our final ski club date for this year is March 1. Do you have an hour to spare, once a week or once a month? Do you ever wonder what your child does at recess every day or who they buddy up with? Come join us on the playground at Rose Park! The sign up for January – March is now available. Click here to sign up! You are always welcome to join us for our all-school chapels on Wednesday mornings at 10:35 AM in the gymeterium. We welcome parents and friends to join us in worship as we discover how we can grow in preparing a table of welcome and hospitality. community. Why not check it out? Silent prayers are always welcome! T-shirts are only guaranteed to teams who sign up by Wednesday, March 6 at 11:30 pm. Cost is $100 per team. All games will be monitored. Lower grade level games will be officiated along with those deemed necessary. All divisions will be double elimination format. If there are less than 3 teams in your division, you will play in the next higher division. Anyone who loves to play basketball is welcome to join!